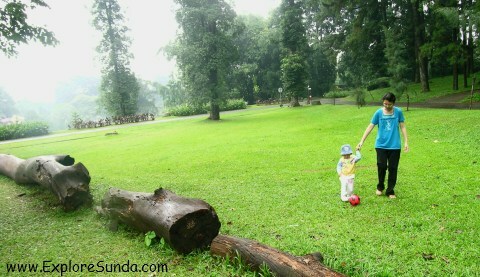 Bogor botanical garden is the first botanical garden in Indonesia. 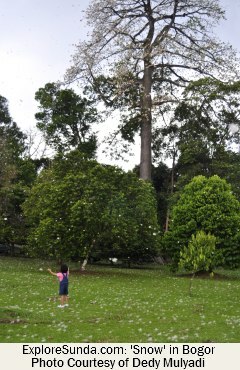 It lies in the heart of Bogor. Here we can have a picnic in its many green lawns and learn a lot about flora since it is the center of botanical research and has great plant collections from all over Indonesia. We also can learn about fauna in the zoology museum inside this park. Many photographers also come here to capture its beauty. Our favorite game in the park: kick and chase the ball! Many people enjoy recreation in this garden, especially on weekends. 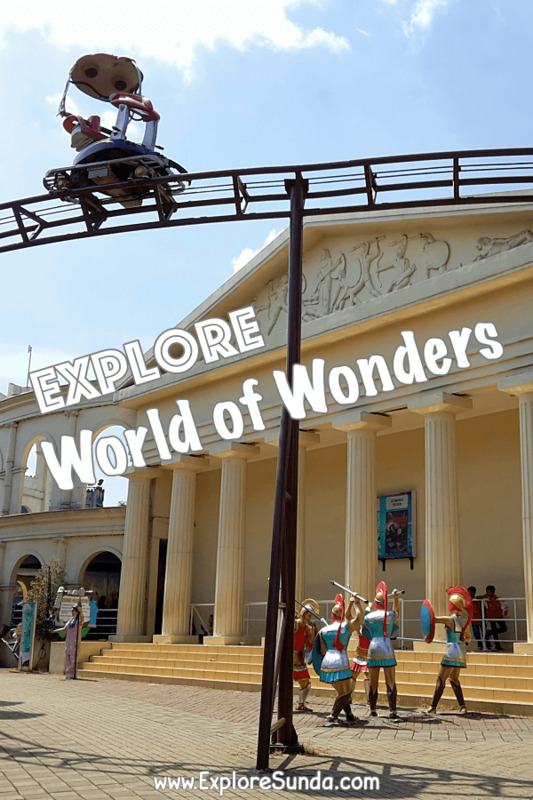 Therefore, I recommend coming here on Saturday, because it is less crowded than Sunday and we can ride our vehicle inside the park, which is not allowed on Sunday and public holidays. Although walking is healthier, I find 87 hectares is too big to explore by foot with a toddler. There are several asphalt streets circling the park. You can park the vehicle in these streets, but don’t park it on the grass. Alternatively, you can bring your bicycle or inline skates, and have a fun sport here. Then you can take a rest afterwards, since it is so peaceful here, away from the hectic streets nearby. 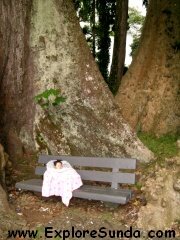 You could even take a nap under these hundred years old trees! 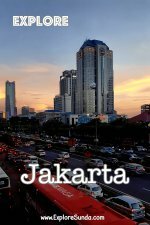 There are 2 entrance gates, the main one at Oto Iskandardinata – Paledang street, opens every morning until 4.30 pm, while the second one at Pajajaran street opens from 4.30 pm till night, mainly to serve the restaurant guests. The name of the restaurant is Café Dedaunan (Leaves Café). The food is not great, but I always love to come here only to sit around watching the rain drops on the lawn and lotus ponds, or watching the sun sets behind the hundred years old trees when the day is clear. It is really a romantic place! There are 2 orchid houses near the café. The newer one is full with commercial orchids such as phalaenopsis, dendrobium, and cattleya. The older one contains the ingenious orchids from rainforests all over Indonesia. Most of these orchids are smaller and they don’t bloom as often as the commercial ones, but they smell very nice. 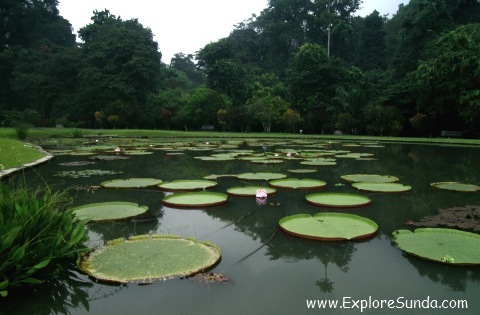 Another unique spot to see is the lotus ponds. They are hardly to miss because there are a few ponds scattered in this garden. The lotus has round giant leaves floating on the water. 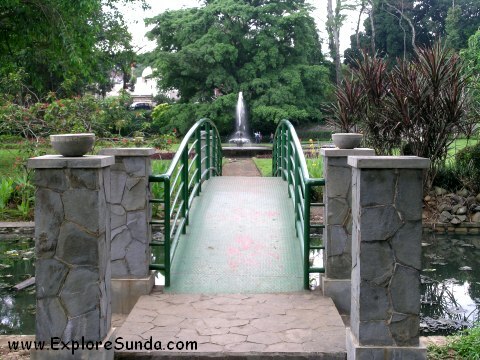 Initially the Bogor Botanical Garden was a man made forest built by the Kingdom of Sunda (1474-1513). Its function was to retain and breed many rare woods that were planted here. Raffles, a British Governor General (1811-1816) who lived in Bogor palace, started to create English garden in the backyard of this palace, which became the starting point of the current botanical garden. In May 18, 1817, Governor General Van der Capellen consented to open a botanical garden named Slands Plantentiun te Buitenzorg in this area. The first chief of this garden was Reinwardt, a German botany who migrated to Dutch. He was also the founder of Herbarium Bogoriense. One hundred and eighty nine years later (2006) we commemorated his services by placing a monument in front of the lake facing Bogor presidential palace. Nowadays this park has become the center of botanical research in Indonesia. It has greatest collection of plants from all over the country, such as collections of palm trees, bamboos, orchids, cacti, and many more. It is also a home for various birds, insects as well as bats. Are you curious about this tree? The latin name of Kapuk randu tree is Ceiba pentandra, originally came from South America. It can reach 70 meters high. We use the fiber for filling in the mattresses and pillows. Recent researches show that the seed is a good alternative for fuel. Its nectar produces high quality honey that can help cure some diseases. Its fruit is also a good source for producing paper, soap, baking soda, and fertilizer. If you come in to Bogor from Jagorawi toll road, turn right at the stop light to enter Pajajaran street. Go straight in this street until you see the botanical garden on your left. 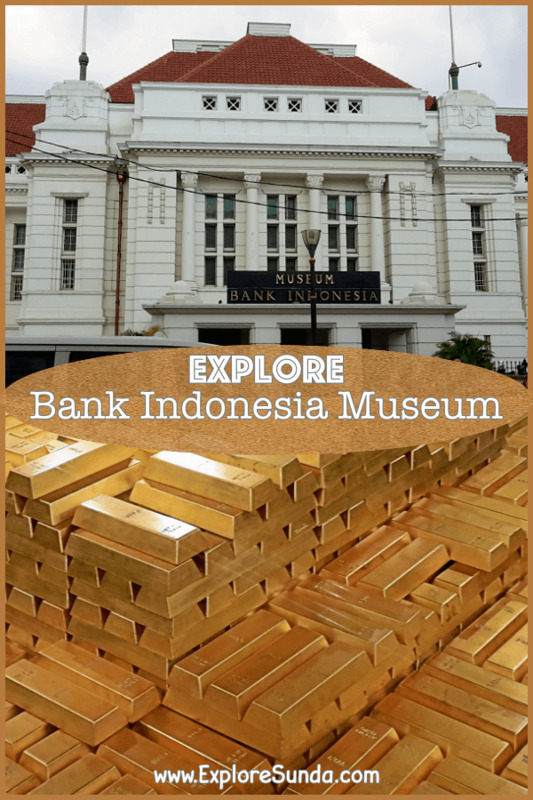 As I mentioned above, there are 2 entrance gates, the main one at Oto Iskandardinata – Paledang street, opens every morning until 4.30 pm, while the second one at Pajajaran street opens from 4.30 pm till night, mainly to serve the Café Dedaunan guests. So, you will find the latter first, then you only need to follow the road circling Bogor Botanical Garden until you find the main gate on the other side of the garden.